Turkey Arrests 4 Connected to 'Security Threat' at US Embassy - Integration Through Media ....! 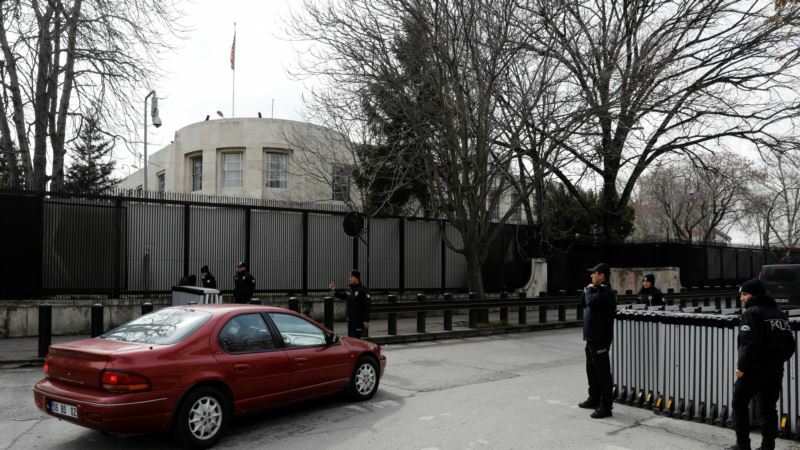 (VOA): Turkey has detained four Iraqis in connection with a security threat to the U.S. embassy in Ankara, Turkish media reported. “The Embassy will announce its reopening, once it resumes services,” the U.S. embassy wrote in a statement on its website, advising Americans in Turkey to “keep a low profile”. Turkish media said the four Iraqis, who have been linked to Islamic State, were arrested in the Black Sea province of Samsun. In 2013, a suicide bomber detonated outside the U.S. embassy in Ankara, killing himself and one Turkish security guard on duty. The attack was blamed on domestic leftists. Turkey suffered a number of attacks linked to Islamic State in 2015 and 2016. A gunman attacked a nightclub during New Year's celebrations on January 1st, 2017, killing 39 people.